Everton look set to turn down offers from a number of Europe's top clubs including AC Milan for their Brazilian striker Richarlison, Sky Sports News understands. The Italian giants have tracked the striker's progress for several years and head coach Gennaro Gattuso wants the club to bring Richarlison to Serie A in the summer, Sky Sports News understands. Despite a difficult first season in charge, Marco Silva plans a major rebuild of his squad in the summer - with both he and major shareholder Farhad Moshiri, remaining adamant their top striker will be staying at Goodison Park. 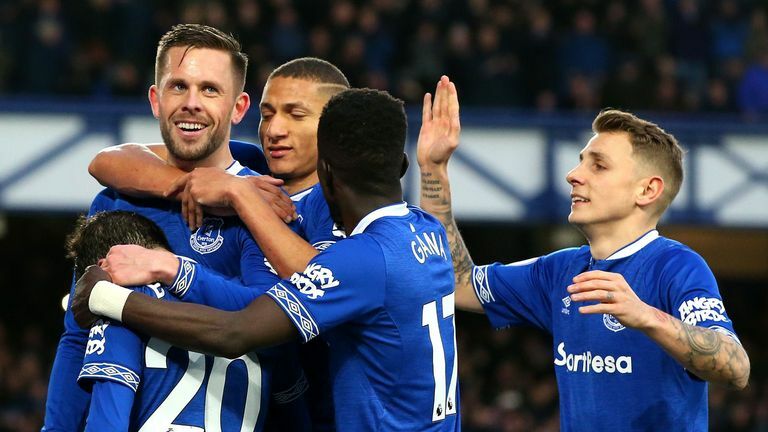 Richarlison's opening goal in Everton's 2-0 victory against Chelsea on Sunday took the Brazilian's goal tally to 12 in the Premier League so far this season. He is training with the Brazil national squad preparing for their match on Saturday against Panama - and with Neymar injured, he will be hoping for a start.